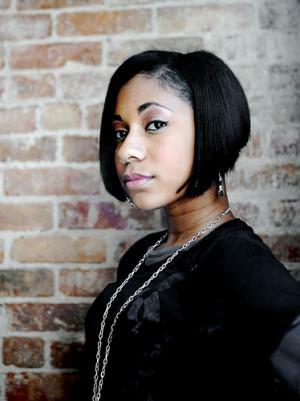 Tiffany Evans was born on 4 August 1992, in the South Bronx, New York City USA, to Carol and Lonnie Evans. She is a singer, songwriter, actress, dancer and entrepreneur, best known as the winner of the Grand Champion title in the junior singer division of the “Star Search” TV show, but also for her hit duet with Ciara, “Promise Ring” in 2007. A talented artist, how rich is Tiffany Evans? Sources state that Evans has acquired a net worth of over $1.5 million, as of late 2016. Her wealth has been largely earned through involvement in the music industry. Evans grew up in The Bronx with her nine siblings in a family constantly struggling with finances. After their home in the Bronx was unexpectedly sold, her family eventually moved to Atlantic City, where they were forced to live in a van. She attended Highland Academy in Galloway Township, New Jersey. Evans began singing at an early age, helping her family to make ends meet, singing at an Atlantic City lounge with her father gathering the donations from audience. She broke onto the scene in 2002, appearing in the TV music show “Showtime at the Apollo” at the age of nine. The following year she captured national attention when she appeared in the popular TV show “Star Search”, hosted by comedian Arsenio Hall. After five performances in the show, Evans won the Grand Champion title in the junior singer division, as the only contestant in the show’s history to get perfect five scores on all of her appearances. The victory brought her a $100,000 grand prize and a wide range of opportunities. Her net worth boosted and her popularity began to rise. Evans’ success on “Star Search” enabled her to sign a record deal with Columbia Records via Sony Music Entertainment, releasing her first single “Let Me Be Your Angel” and achieving a minor success. A self-titled EP followed, and several singles as well, so her rising popularity also brought her an opportunity to enter the acting world, appearing in the CBS television series “The District”, NBC’s series “Law & Order: Special Victims Unit”, and in the popular film “The Diary of a Mad Black Woman”. All added to her net worth. In 2007 she joined Ciara and T.I. on The Screamfest Tour, and not long after, she released a duet with Ciara, the popular “Promise Ring” from her self-titled debut album. The single reached #1 on Billboard’s Bubbling Under Hot 100 chart, making Evans a teen sensation. The follow-up single “I’m Grown” featuring rapper Bow Wow came out the following year, and the album was released a few months later. All contributed to her wealth. In 2010 Evans signed with Music World Entertainment label, and released the single “I’ll Be There”. The following year she started her own label and media company called Little Lady Enterprises, later renamed to Live Love Entertainment, and has served as the company’s CEO ever since. She went on to release the single “Won’t Find Me”, and the mixtape “143” two years later. This was followed by the 2014 single “Baby Don’t Go”, and then in 2015 – “Red Wine”. Also in 2015, Evans released “On Sight” as the lead single from her EP titled “All Me” which came out later that year, peaking at #10 on iTunes’ R&B Albums chart. All projects have been well-received, reinforcing Evans’ popularity and significantly improving her net worth. Throughout her career, Evans has collaborated with many artists, among them several major names in the industry, such as Ne-Yo, Lady Gaga, Usher, Madonna, Kanye West, Trey Songz, among others. In addition to her music career, she has also been involved in other ventures, such as creating her eyewear company called Eye Hunee, in 2014, which should add to her net worth. When speaking about her personal life, Evans has been married to Lorenzo Henderson since 2011, and the couple has two children together. 1 Gave birth to her 1st child at age 20, a daughter Adalia Sarai Henderson on September 25, 2012. Child's father is her husband, Lorenzo Henderson. Tarzan II 2005 Video performer: "Who Am I? End Credits Version"
Diary of a Mad Black Woman 2005 performer: "Father Can You Hear Me"